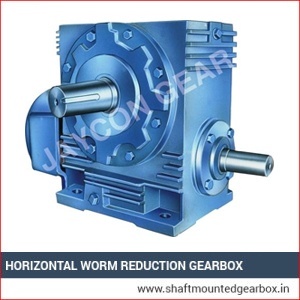 We manufacture Horizontal Worm Reduction Gearbox in diverse specifications to suit in the varied application requirements of different companies. We manufacture them with high grade material utilizing latest technology based machineries and equipment. These are made in adherence to the international standards of quality so that they are robust, very consistent and proficient in their performance and very durable. 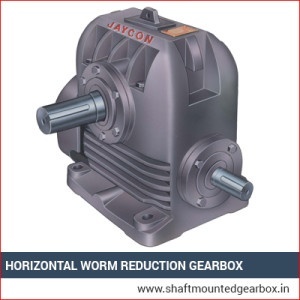 The design of the gearbox is such that they offer excellent flexibility, broad range of RPM, horse power as needed. These are very appropriate for heavy load applications as well as power transmissions. 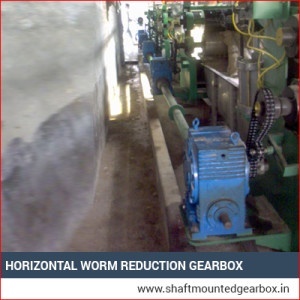 They can very well deal with leaking, heating, worm destruction, twisted shaft in addition to low productivity issues of applications. These are perfect for applications in the industries like Chemical Industries, Pharmaceuticals Industries, Cement Industries, Textile Industries, Food Processing Industries, and Sugar Industries etc.